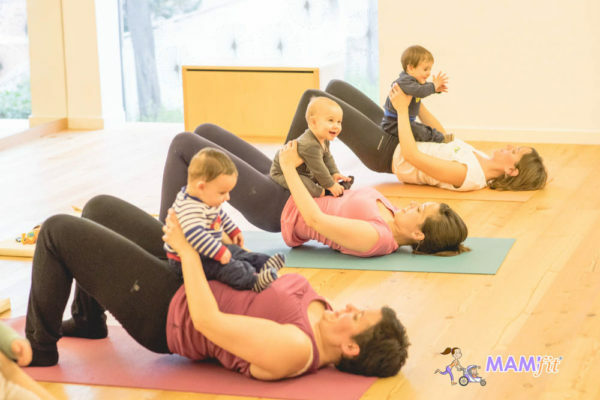 MAMIfit® Moms and Babies or MAMIfit® Postpartum classes are physical activity classes that specialize in a woman’s body recovery of after childbirth. 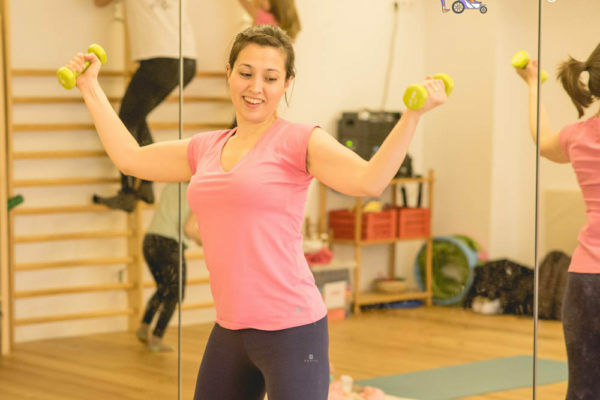 They have an hour in which they work the abdominal area using the MAMIfit® hypopressive technique, along with muscles toning and cardiopulmonary resistance, and best of all is that you can come whenever you want with your little one to any of our classes! Postpartum is a crucial period in the life of the mother and her baby and, therefore, MAMIfit® plays a fundamental role in this process. We are the first company that specializes in the rehabilitation of moms for the physical exercise, care for her body and help with the recovery after the childbirth. Up until now, it was an area where it was not attended and, curiously, it had many needs. For this, it was essential to find good professionals who developed coherent and effective training programs. It is imperative that women LEARN how to take care of themselves and identify what type of exercise is appropriate for each stage of their lives, especially in the delicate periods. We recommend starting the MAMIfit® Postpartum classes from the sixth week, if it is vaginal delivery, and the eighth week, if it was by cesarean section. In both cases we recommend the previous medical evaluation and confirmation from physiotherapist specialized in urogynecology. MAMIfit® is the largest Tribe of moms who want to take care of themselves and enjoy their recovery with their children! What do we intend to achieve in these classes?